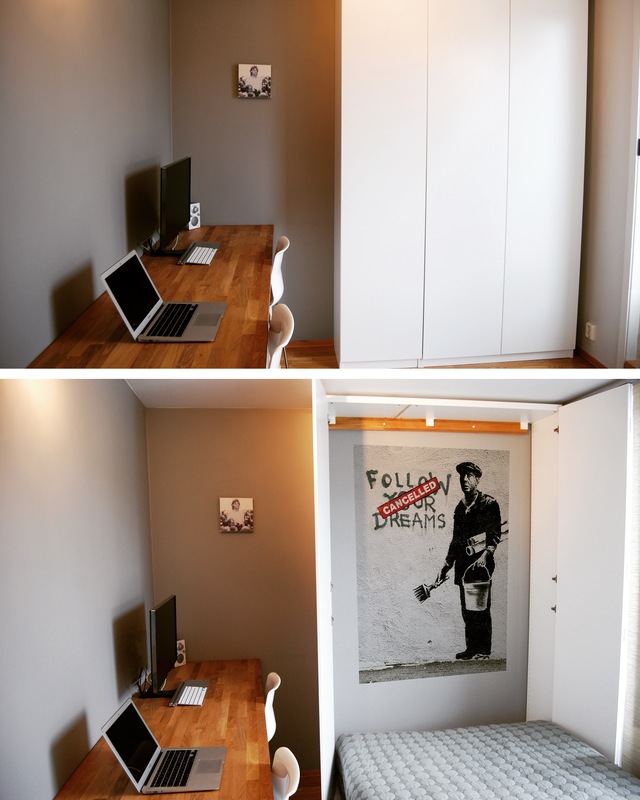 If you can’t decide whether your spare room should serve as a home office or guest room, Murphy bed might be the answer. Its named after William Lawrence Murphy who applied for patent for a pull down bed in the early 1900s. 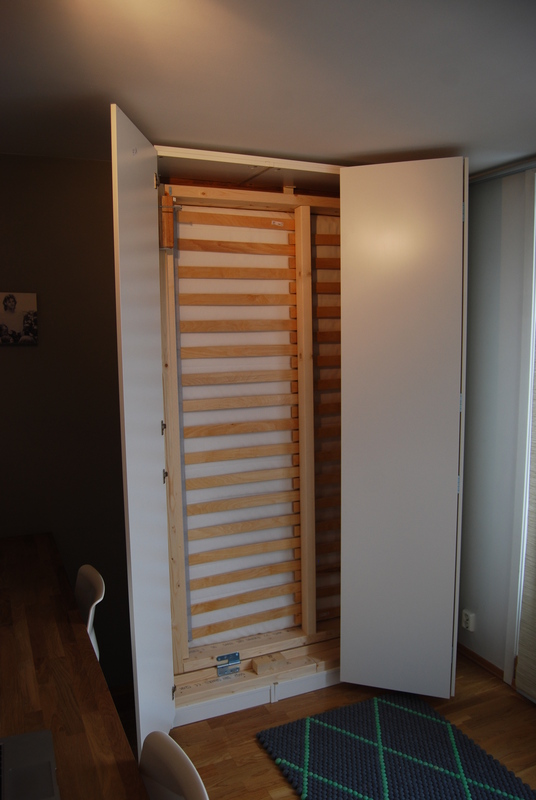 We wanted a budget Murphy bed in a closet that does not take too much space. 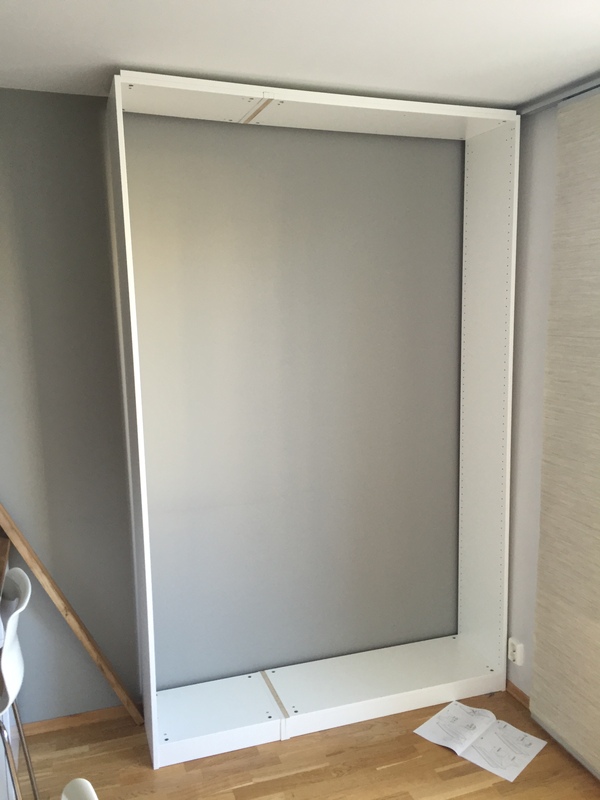 There are many Murphy bed-kits, but they are quite expensive, so we chose to go for a cheaper version which makes it slightly harder to pull up and down. But you can use it for training instead of weights. We used two Pax cabinets, one that is 1 m and one that is 50 cm wide. 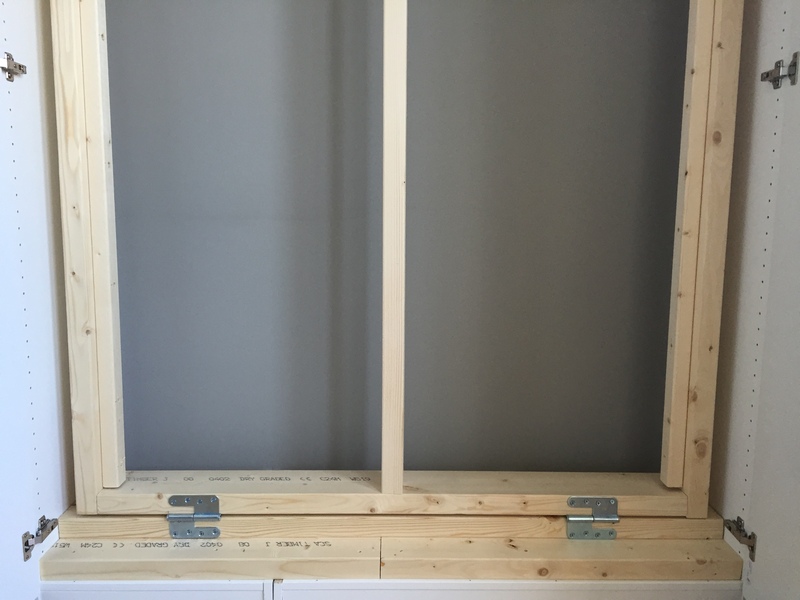 To accommodate a double bed cabinets it must be spliced. 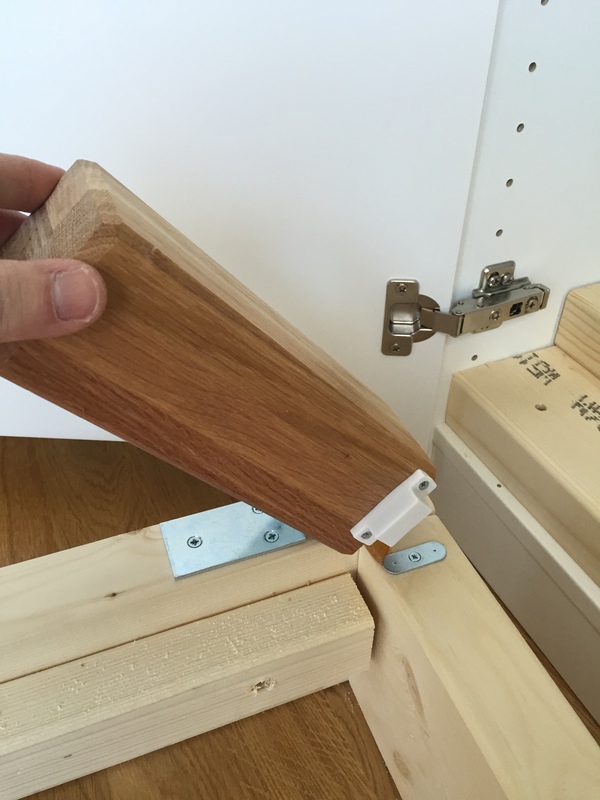 If a single bed is on your wish list, you can get away with one cabinet of 1 m.
It is important that you attach the cabinets to the wall, use a stud sensor to locate where the stud ends are behind the wall for the best possible grip. I attached a beam in the cabinet top as both support and attach to the wall. When the cabinet is in place you can start on the bed frame. Measure out and make a bed that fits the mattress you want. To create the actual bed frame of structural timber is a very inexpensive way to make a bed. 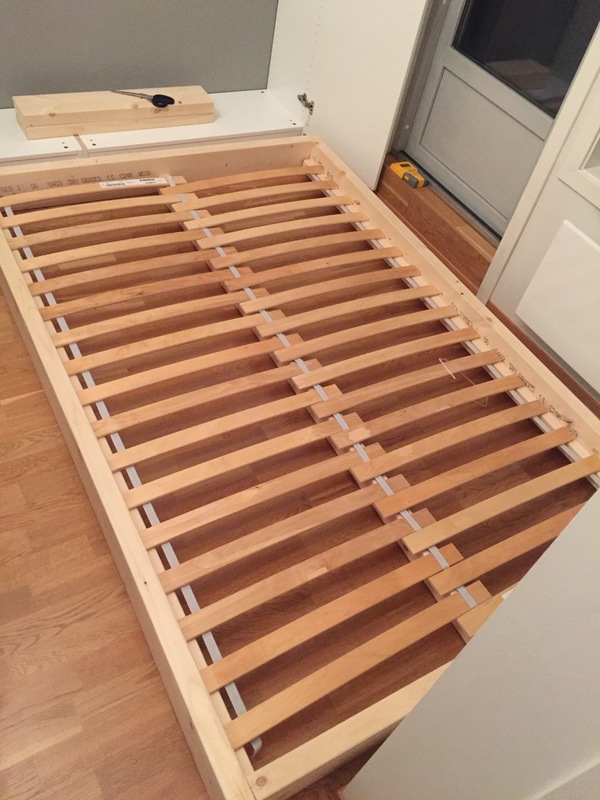 When the bed is finished, attach the rib bottom of the bed with screws. 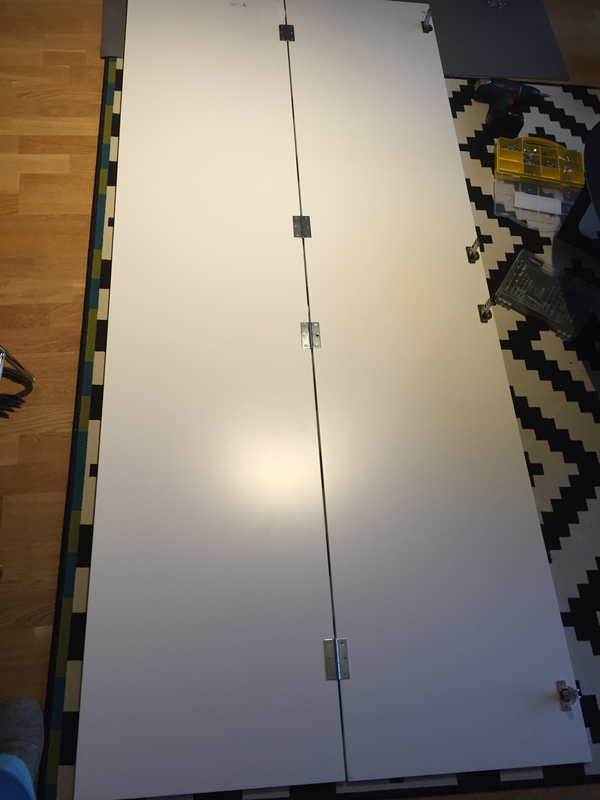 Attach the bed to the floor of the cabinet, we used door hinges that are quite powerful. Make sure the height of the bottom of the cabinet will be as high as the bed feet. 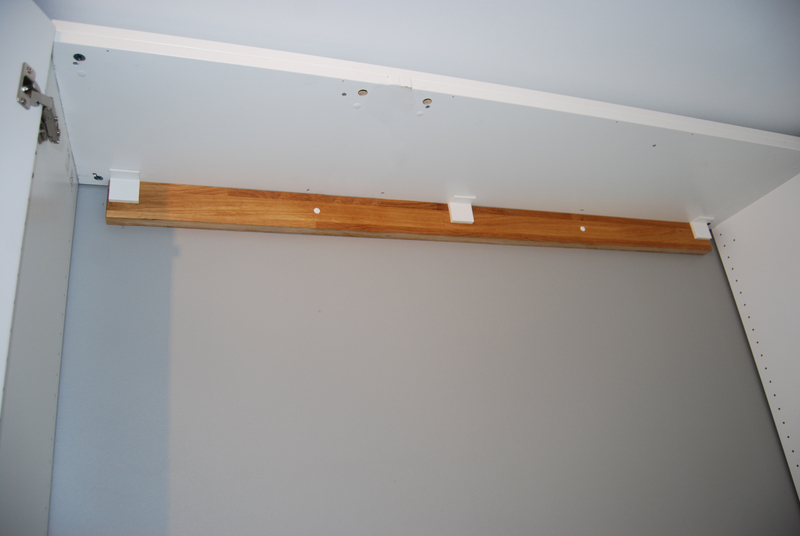 I took some beams in the bottom of the cabinet both to make it stiffer and to get it to be in the right position. the bedfoot will go into right position. I also mounted four hinges to one door to make it a double door. Safety is important. I mounted two Dreambaby Window safety locks, one on each side to prevent the bed from falling down. 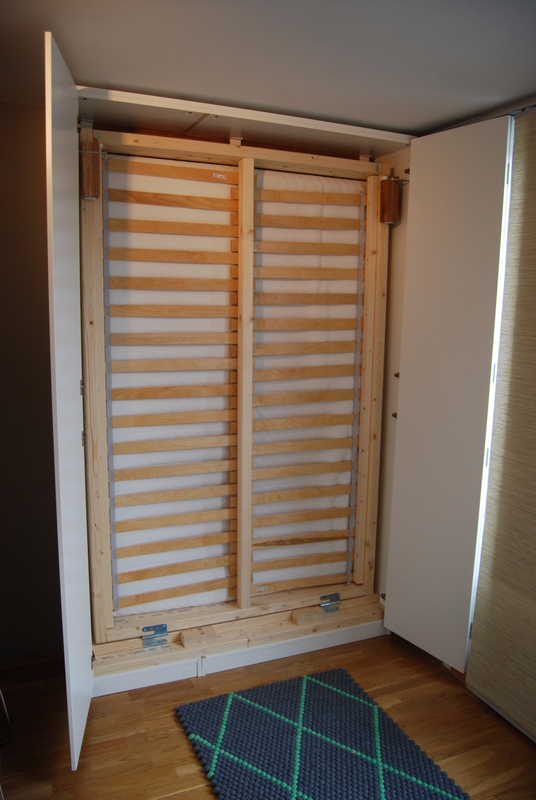 You can also attach a strap under the bed that holds in place the linens when you take the bed up and into the closet. Paint it and you are done.